specialists in the process of shredding and blending cheese. Prima Cheese is a vast growing food production company, built from the foundations of a strong/proud family heritage. We specialise mainly in pizza cheese which is our core business, but have diversified into the supply of other dairy products primarily for the foodservice and food manufacturing markets. With over 30 years’ experience within the UK food supply market, our solid foundations and knowledge within the dairy market allow us to create longstanding and transparent partnerships with our clients, offering a service and product which is simply unbeatable. Our incomparable blend of dairy products is created to offer a versatile dairy solution for foodservice and food manufacturing services. Prima Cheese is based on efficiency so we believe the easiest way to describe our business is to keep it simple. We have access to Europe’s best manufacturers of mozzarella, cheddar, processed mozzarella and analogue products. We take these ingredients to then shred, blend, bag, pack, label and distribute them to our partners within the UK and worldwide. 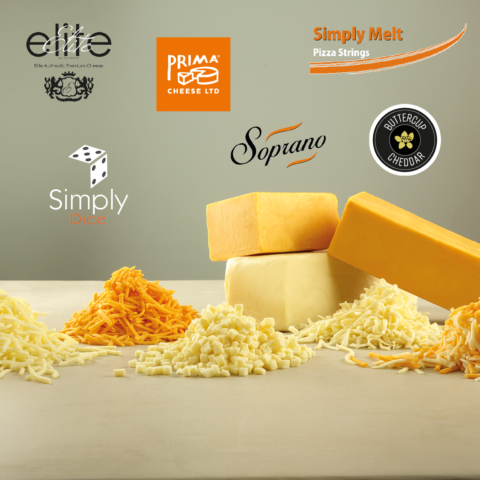 Prima Cheese is becoming the UK’s most well recognised and respected brands for pizza cheese and dairy supply within our domestic market. As well as this we pack private label and branded products to many worldwide destinations.